It’s the New Year, which for most of us means resolving to eat better, work out more, and save more money. But we might consider adding to this list the resolution to protect our hearing. In 2016, we read a large number of reports regarding the expanding epidemic of hearing loss. The World Health Organization has alerted us that billions of individuals are at risk from exposure to loud noise levels at work, at home, and during leisure activities. We also found out that even teens are at risk, as the rate of hearing loss in teens is 30 percent higher than it was in the 1990s. The bottom line is that our hearing can be compromised at work, while attending concerts, and even at home via the use of earbuds and headphones played at elevated volumes. 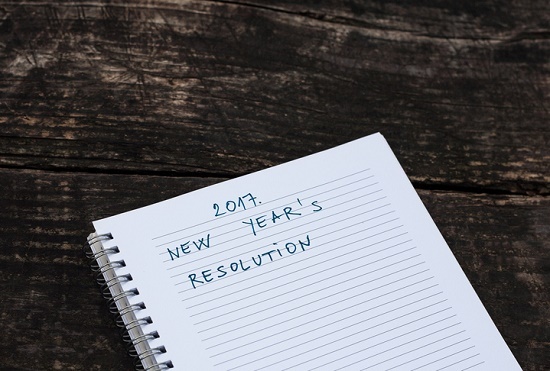 This year, let’s all get started on the right track by making some simple resolutions to protect and conserve our hearing health. First, how can you know how loud is too loud, and how can you know when your hearing is at risk? To start with, sound is measured in units called decibels. As the decibel level rises, the intensity level of the sound increases along with the risk of hearing injury. Here’s a list of sounds with their matching decibel levels. Remember that any sound above 85 decibels can potentially damage your hearing with continual exposure. Keep in mind that with the decibel scale, a 10 dB increase is perceived by the human ear as being twice as loud. That means that a rock concert at 110 dB is 32 times louder than a normal conversation at 60 dB. Hearing damage is influenced by three factors: 1) the volume or intensity of the sound, 2) the period of time exposed to the sound, and 3) the distance between your ears and the sound source. Limit the volume with the use of earplugs (or by lowering the volume on an mp3 player). Limit the time of exposure to the noise either by avoiding it or by taking rest breaks. Increase the distance from the sound source as much as possible (e.g. not standing directly in front of the speakers during a rock concert). Make use of the 60/60 rule when listening to music on a mobile device—listen for no more than 60 minutes at 60 percent of the max volume. Consult with your employer about its hearing protection programs if you work in an at-risk occupation. Use hearing protection at noisy venues and during loud activities. Inexpensive foam earplugs are obtainable at your local pharmacy, and customized earplugs are available from your local hearing specialist. Purchase noise-cancelling headphones. These headphones block external sound so you can listen to the music at reduced volumes. Purchase musicians plugs, a special kind of earplug that decreases volume without generating the muffled sound of foam earplugs. Ringing in the ears, also referred to as tinnitus. The feeling of “fullness” in your ears. Difficulty comprehending speech, where everything sounds muffled. Asking others to repeat themselves frequently, or constantly misunderstanding what people are saying. Having difficulty following conversations and making fine distinctions between similar sounding words. Turning the TV or radio volume up to the point where others notice. Thinking that other people are always mumbling. Having trouble hearing on the phone. Generally, your family members or friends will be the first to notice your hearing loss. It’s easy to brush this off, but in our experience, if somebody is told they have hearing loss by a family member, chances are good that they do. Finally, it’s vital to get a hearing test, for two reasons. One, if your hearing is normal, you can not only tell others that your hearing is fine, you’ll also establish a baseline to compare future hearing tests. Second, if the hearing test does indicate hearing loss, you can work with your hearing care professional to choose the the best hearing plan, which typically includes hearing aids. And with today’s technology, you can recover your hearing and improve almost every aspect of your life.